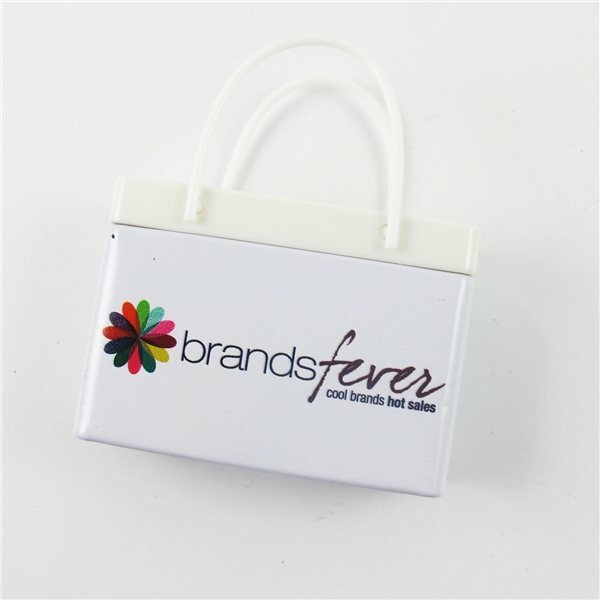 A unique twist on a classic giveaway item, the shopping bag mint tin is a great way to keep your breath fresh with a fashionable flair. This eye-catching container measures 2.3"W x 1.67"H x 0.58"D with a tote bag-shaped design complete with handles shaped like shoulder straps. It comes packed with 90 mints so you can keep your breath fresh on the go. Make a fresh impression during the next promotional campaign by adding a customized imprint of your brand logo.